The complexity of securing today’s enterprise has become even more daunting, businesses with large and small IT staffs are looking to Managed Security Service Providers (MSSPs) to shift risk from their IT departments into the hands of dedicated security professionals. This is a summary of statistics culled from billions of threat events observed by Fortinet devices in live production environments around the world. 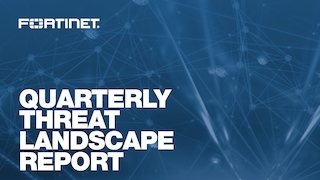 According to IDC, Fortinet is the No. 1 most adopted network security solution, having deployed 4.2 million devices.1 This provides a unique perspective on the threat landscape that we distill into this report. The rest of the report digs into and adds context around those key findings.